This is not a replacement for a CVS, but it is certainly useful in many cases. 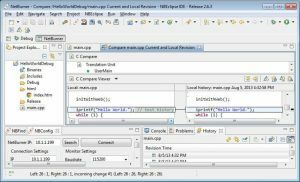 If you would like to revert your source code back to the way it looked an hours ago, the NB Eclipse IDE makes it easy. The key is to use Eclipses’ built-in local history manager.